Reduce to standard form. 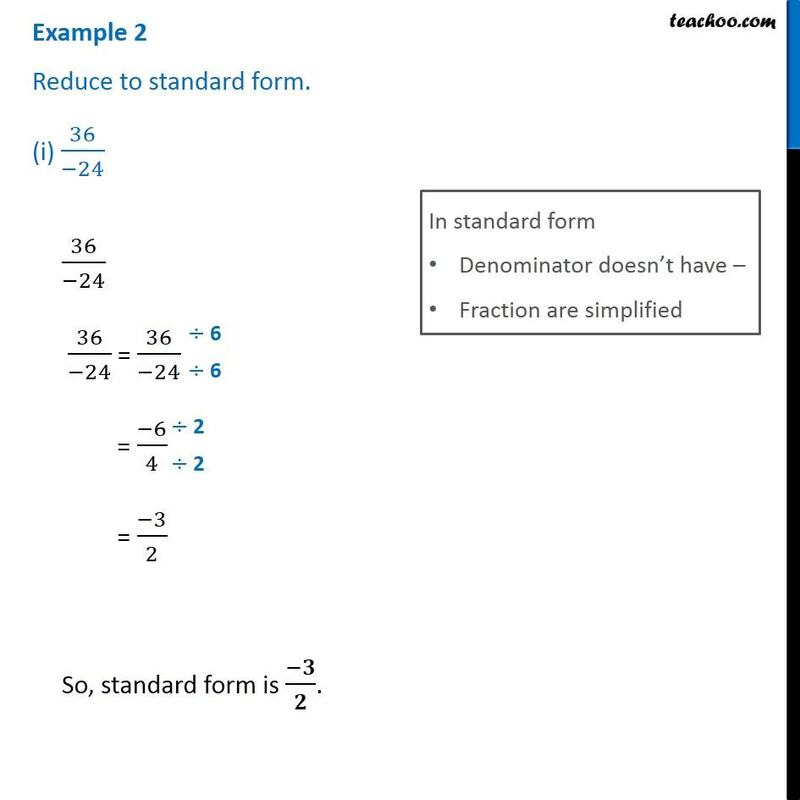 (i) 36/(−24) In standard form Denominator doesn’t have – Fraction are simplified 36/(−24) 36/(−24) = 36/(−24) = (−6)/4 = (−3)/2 So, standard form is (−𝟑)/𝟐. 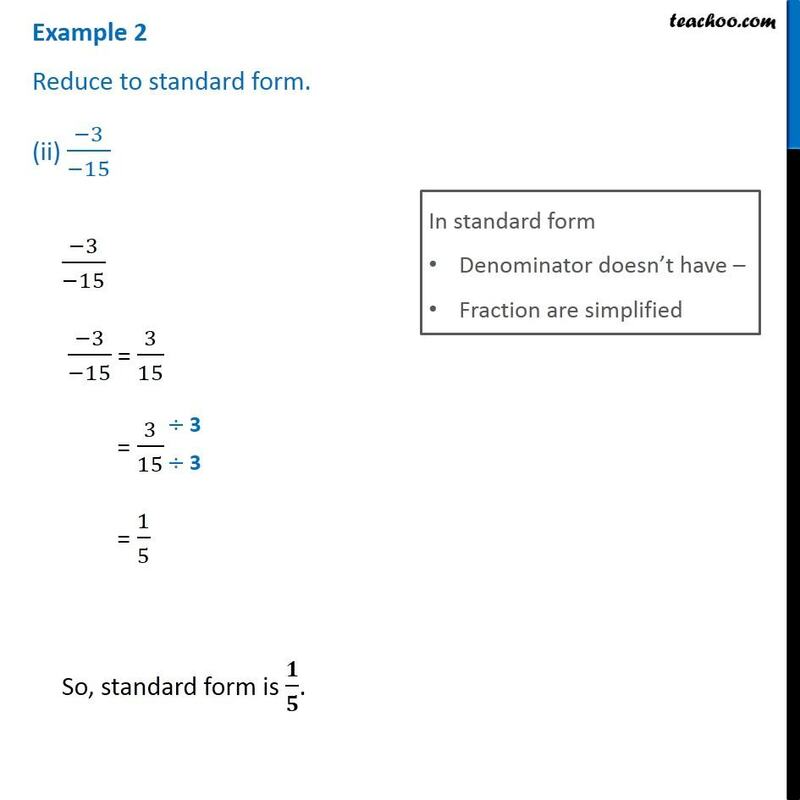 Example 2 Reduce to standard form. (ii) (−3)/(−15) In standard form Denominator doesn’t have – Fraction are simplified (−3)/(−15) (−3)/(−15) = 3/15 = 3/15 = 1/5 So, standard form is 𝟏/𝟓.